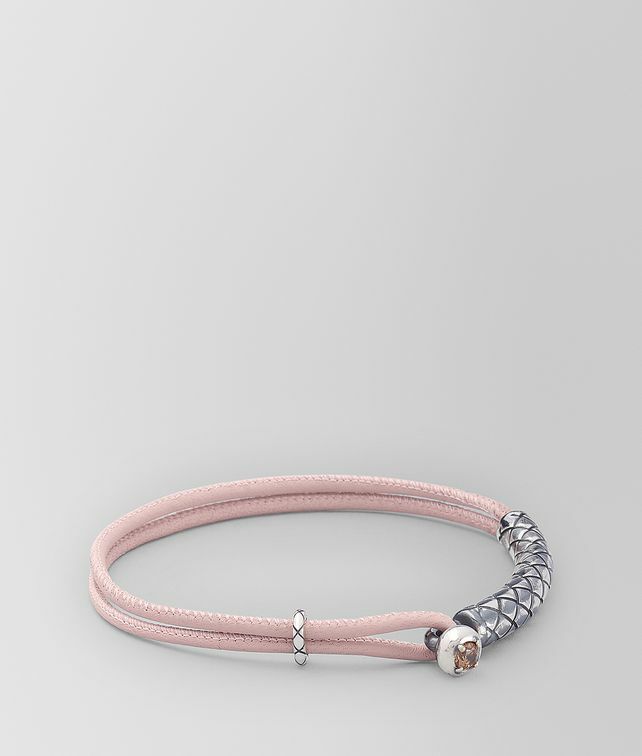 This delicate bracelet is ideal for everyday wear. It is crafted from soft nappa leather rope to match the colors of the Cruise 2019 collection and features an intrecciato-engraved silver piece. To put it on, slide the silver piece to open the loop, and pull the silver button—decorated with a cubic zirconia stone—through. Length (small): 18.5 cm | 7.2"
Length (medium): 20 cm | 7.8"